Adios Carlos - A Fond FPL Farewell? You've probably read the news by now. Little Carlitos "I don't want to warm-up" Tevez has agreed a move to Italian giants Juventus because "they wanted him more" than AC Milan did. He leaves behind a newly reorganized Manchester City squad that drove FPL managers bonkers last year as crazy-man Roberto Mancini played musical chairs with virtually every position on the pitch. Personally, Mancini scared me away from so many City players during #FPL season that Tevez's move away came as a breath of fresh air to me when I heard everything was finalized. After initially admiring the work rate and tenacity Tevez showed following his move to Manchester United and the way he "stood up" to Sir Alex Ferguson when things went south and he flew the coop across town to City, it gradually dawned on me during his multiple excursions on the wrong side of sanity that it wasn't Sir Alex who had been the problem; it was Carlos. So seeing Tevez move away initially seemed like just the kind of move that both Manchester City and us #FPL managers needed. Freed from Mancini's unpredictability, the offloading of Tevez seemingly reduces the rotation risk of City's front line by a full 33% as it leaves those minutes to be filled by Sergio Aguero and/or Edin Dzeko, unless of course a third quality striker is brought in or recalled from loan who Pellegrini decides to drive us equally mad with. But that remains to be seen. City's forward rotation was great for City; don't get me wrong. But it was an #FPL manager's nightmare. Looking at the statistics from the 2012-2013 season, Mancini actually did a very good job of spreading the minutes around and keeping people fresh when they weren't injured. Aguero, Tevez and Dzeko averaged 51, 63 and 48 minutes per gameweek respectively, a very even distribution, while scoring 5.6, 6.3 and 6.4 points per 90 minutes each. On the face of it, Mancini did exactly what he should have done; keeping things fresh and maintaining consistent returns. Despite the rotation, Tevez finished the year as City's up-front leader in both minutes played and points scored. From a statistical perspective, he scored 6.35 points per game to Aguero's 5.60 and based on year-end values tallied 18.37 points per million pounds in price compared to Aguero's 10.90. Financially speaking, Tevez was a bargain. At 18.84 points per million pounds in price, so was Dzeko. So maybe, purely from a numbers standpoint, City let the wrong guy leave. Based purely on statistics, for what it's worth, the Tevez and Dzeko show, based on the 2012-2013 season, is more productive and profitable than an FPL Aguero-Dzeko combination. When setting the City dynamic to the side and looking at Tevez strictly compared to other FPL forwards in his price bracket (9.2m at season end), he also outscored every forward in the 8.3 - 9.3m bracket quite handily. Of Torres, Adebayor, Podolski, Carroll and Cisse, only Podolski even comes close to Tevez's points and value statistics. So we're left, as oftentimes is the case, with a double-edged sword. When looking at City coverage, Tevez's move to Juventus simplifies things and makes both Aguero and Dzeko much more attractive investments than they were last year (Dzeko statistically would be the guy to pick up due to his points/price ratio, but I have a sneaky suspicion Aguero will have a good year assuming he doesn't get assaulted in the 13th minute of the first fixture like he did last year). At the same time, Tevez's outstanding performance in the mid-premium price bracket leaves a significant void to be filled by somebody. Who that person will be is anyone's guess, as Tevez decidedly outperformed everyone else in that bracket last season. At this point, only one thing is for sure. Carlitos can show up and caddie at the British Open practice rounds all he wants, but no one will be getting any FPL points from him this time around. He's going the way of Balotelli and Mancini, and taking all of the pointing, laughing and snickering with him. I would like to talk about Confederation of African Football (CAF) players in the Premier league last season and how they fared individually. As we know, the African Cup of Nations (AFCON) had a significant impact on some of their performances and appearances in the latter half of the season. Yaya Toure was probably affected the most by it and may have made a bigger impact for City had there been no AFCON. As for his brother Kolo, he was a bit part player at best who barely made the bench and won’t be at City next season. Senegalese players were not able to participate in the AFCON due to Senegal's ban. Ironically, in spite of this, Demba Ba had a superb first half of the season with Newcastle, scoring 13 league goals in 20 matches. However, he only scored 2 in 14 after transferring to Chelsea. As for his fellow countryman Papiss Cisse, he struggled to live up to his billing and made no major impact at Tyneside. West Ham's Mohamed Diame had a fairly good season. So much so that he was linked to Arsenal at one stage. He highlighted his talent via a well taken goal against leaders Manchester United. His teammate Guy Demel also had a fairly good season in defence as they both guided West Ham to mid-table safety. As for Chamakh, on loan from Arsenal, he had a season to forget. Of course, Chelsea's Moses and Mikel triumphed at the AFCON with Nigeria but didn't have much influence in the league with the Blues. Sessegnon’s influence on Sunderland's survival can’t be overlooked. He occasionally shined during Fletcher and Graham's periods of inconsistency, while fellow Egyptian teammate Ahmed El-Mohamady, enjoyed a terrific season on loan to Hull City. He helped them secure Premier league football next season while also winning the club's player of the year award. Ameobi had the usual “lack of goals” season that we expect of him, while Cheikh Tiote underperformed before and after AFCON. Tottenham's Assou-Ekotto and Adebayor also had a terrible season compared to their usual standards; the first struggling with injuries and squad competition, where as the latter scored 5 league goals compared to 17 the season before. On the other side of London, Adel Taarabt had a dire season with QPR as they got relegated and Arsenal's Diaby had an injury plagued season. Gervinho had a very stop-start season. I would be surprised if he manages to keep his place on Arsenal's bench next season. Aside from Youssouf Mulumbu’s antics against West Ham when he picked the ball up and aimed a shot at Gary O’Neill, he had a reasonable season of sorts. In summary, some may stay and some may leave come August. But overall, the CAF contingent will be a force to be reckoned with. As we eagerly anticipate the start of the new season, all of the Premier League teams from last term have their new managers in place. In this post we are going to look at the impact these new managers could have on their teams and, more importantly for us FPL managers. The four managers we are going to look at are Jose Mourinho, David Moyes, Manuel Pellegrini and Roberto Martinez. Now that Jose and Roman have kissed and made up, the Special One will be looking to add another Premier League crown to his collection of throw away medals. Mourinho is going to need his captain more than ever this season, John Terry. JT may have missed most of last season under Benitez but he is all but guaranteed to start most of Chelseas this season and, with his added goal threat, is definitely one player to consider. The trio of Mata, Oscar and Hazard remains to be seen whether they will start together, this season I am expecting big things from Oscar and hope that he gets a run of games under Mourinho, with him being considerably cheaper than Mata and Hazard anticipate the start of title contenders all have new managers, this makes him a potentially brilliant differential. The impact of Mourinho’s return, along with Lukaku, will surely put the futures of Ba and Torres into doubt. I for one can’t see Torres or Ba starting and would love to see Lukaku start the season as Chelsea’s main striker and I think Mourinho might just give the big man a go. Probably the most watched managerial job out the lot will be that of David Moyes and whether he will be able to handle the pressure of being the new Man Utd manager. One thing David Moyes will bring to the team is that ‘never say die’ attitude that he instilled at Everton. This means the futures of Nani and Anderson are up in the air but one man that could relish playing under Moyes is Shinji Kagawa, after his bedding in season I expect him to feature a lot more this season and is definitely worth considering when building your team. With the whispers getting louder that Ronaldo could return to Old Trafford and Rooney possibly leaving this only means one thing for you fantasy Managers if it happens... get Ronaldo at any cost or get left behind! What Manuel Pellegrini brings to the team is similar to that of Mourinho in the way that the players all seem to want to play for him with Isco, his former player at Malaga, calling him his ‘footballing father’. With Isco also being linked with Manchester City he is an unbelievable talent and, playing alongside the likes of Silva and Aguero, would improve him more and he could turn out to be a must have for all FPL managers. Under Pellegrini I don’t think you’ll see as much swapping and changing as that of Mancini but who he picks remains to be seen and because of this I would only consider the obvious starters, Hart, Kompany, Toure and Aguero. I also expect Aguero to be more like the player we seen in his first season, barring any injuries in pre-season he will more than likely be in my team come August. Roberto Martinez loves to play attacking football, as we’ve seen with Wigan over the last few years. If he plays the same formation as he did with Wigan, which was a 3-5-2 formation (which I think he will), he couldn’t have two better wingbacks than Leighton Baines and Seamus Coleman. This season should see Coleman reinstated as a defender and not as a midfielder, and if so he will be going straight into my team ahead of Baines, as for me Baines at £7m+ isn’t going to be worth it. Quick mention regarding the release of yesterday’s fixtures... I’ll be planning my team no further than the first three game weeks and, with the potential of another double game week for Chelsea. I’ll be sure to have three Chelsea players in my team this time round as I didn’t buy into the whole double game week in week 1 last year. I made the mistake of captaining Aguero who went off injured after five minutes into the season, much to my annoyance, only to see Hazard go on rip it up! 2012-2013 FPL Transfer Analysis - Would Knowing This Info Help You Too? I’ve gotta level with you guys. I just can’t get the recent FPL season out of my mind. It was a year of growth for me; a year where finding an outlet to talk about the sport (EPL) and the game (FPL) on Twitter raised my appreciation and enjoyment of the FPL game to levels I had never anticipated. I’ve learned so much just from reading what knowledgeable fans have said to one another and asked one another about, let alone the actual conversations I’ve had with people that have helped me understand and enjoy the game with a new awareness. I’ve said before that the season ended too early for me. I didn’t want the momentum to stop. Having improved from 352,257th place in 2011-2012 to 33,058th place in 2012-2013, part of me was afraid that the momentum I carried through the end of the season and all that I learned this year would fade with the two-month gap; that I might forget what I had learned and would essentially be starting the new upcoming season from scratch again. So without being able to keep playing the FPL game, I wanted to do the next best thing. I wanted to analyze my performance and delve further into how the knowledge I gained from talking and “listening to” so many respectable friends and fans helped me reach levels that surprised me. The logical place for me to start was to analyze my transfer activity; specifically the transfers I made throughout the season that resulted in point hits. If you’ve played FPL for any length of time and are active on Twitter, you’ve inevitably fretted over the prospect of “paying” or “spending” 4 extra points to make a transfer that you can’t make for free. 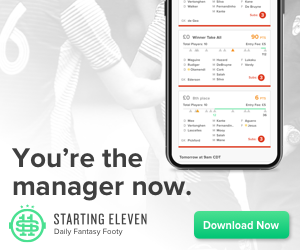 The concept is an integral part of the game, and one that often can make or break an individual gameweek and ultimately how you perform in your mini-league and overall ranking. Respected FPL players talk about “the 4-point hit” just about every week. Is it worth it? What has to happen to make it pay off? For which positions is it worth considering and for which positions is it a guaranteed no-no? What are the odds that it will pay off? I read and listened to many people. One of the things I remember hearing most from people that I respected highly was “Don’t take a hit if you don't have to; they don’t pay off 80% of the time.” That scared me and had me thinking carefully about all of the things that would need to happen for a 4-point hit to pay off. Not only would the person I transferred in need to do well, but they would need to score at least 4 more points than the person I transferred out. In FPL, where every point is valuable, a 4-point hit needed to be weighed carefully. Partly because of the fear instilled in me with the prospect of a 4-point hit, and partly because I was in a position in my mini-league towards the end of the season where every point would end up being important, I always found myself thinking long and hard about the prospect of giving up 4 points to make a transfer that I thought would pay off. With three weeks left in the season, and hearing the old mantra of “4-point hits don’t pay off 80% of the time” from respected FPL players in the back of my mind, my mini-league rival made the surprising decision of making 5 transfers during double game week 36; a 16 point hit! I was freaking out. I had taken point hits in the 2-3 weeks leading up to double gameweek 36 to prepare and set myself up for it, but was surprised that my rival took such a risk; especially when things were so tight in our mini-league. One of my good friends in the FPL Twitter community, knowing my mini-league was tight and probably trying to make me feel better, said “Don’t worry dude, there’s no way they’ll all pay off for him”. Well guess what; 4 of his 5 transfers DID pay off for him, and it left me questioning the “4-point hits don’t pay off 80% of the time” adage that had been ingrained in my head. So, after the season ended, I thought I’d take a look and see just how I fared when making the decision to take transfer hits. The results actually surprised me very much. Note: Because almost all of the transfers I made that resulted in 4-point hits were transfers that required swapping more than 1 player, I’ve analyzed my transfer hits based on each gameweek as opposed to each transfer. It was very rare that I took a 4-point hit specifically to swap one player for another; it more often required a double move to “downgrade” a player in one position to be able to “upgrade” a player in another. Well there you have it. All told, I spent 92 points on 23 transfers during the 2012-2013 FPL season. Of the 14 gameweeks in which I took hits, I achieved net gains on 11 of them (78.5%) and had net losses on 3 of them (21.5%). In summary, I gave up 91 points scored by the players I transferred out, spent 92 points to transfer in other players, and those players that I transferred in earned 276 points in the week I brought them in; for a net overall season gain of 93 points. I am so glad I took the time to put this information together and look back on my transfer dealings throughout the course of the season. It taught me that depending on the situation, taking hits on additional transfers can work out rather well if done carefully. As a fairly conservative FPL player, after the initial and necessary early season adjustments accounting for players who no longer started, fell out of form, were injured, etc., the majority of my point hits were taken to offload players who were either suspended, injured, had blank game weeks, etc. ; or to bring in players with upcoming double game weeks. In hindsight, this is perfectly normal and to be expected. What I was surprised about was the percentage of times that point hits actually worked out for me. Had you asked me that question throughout the season I would have said that it seemed like point hits worked out for me roughly half of the time. My decisions look better in hindsight than they felt at the time, although obviously what’s not accounted for here are the players I DIDN’T pick who went nuts on certain gameweeks, like giving up Benteke to see him nail a hat trick a few weeks later. But that’s FPL for ya. If you would like to put together analysis like this for yourself based on last season’s statistics, PLEASE PRINT OUT YOUR GAMEWEEK DETAIL TODAY! Next year’s EPL fixtures will be released tomorrow and there is speculation that the FPL site may reset itself and remove all 2012-2013 gameweek detail as early as tomorrow. They do not store gameweek detail from prior seasons so once they reset the site it’s gone for good. Sorry for being so long winded, but I hope you enjoyed seeing the stats of my transfers and how those transfer dealings affected the overall season points as a whole. I improved my overall ranking considerably this year compared to last, and looking back now, these 93 extra points played a very large factor in that. Maybe you’ve recently finished your first or second FPL season or are standing at the proverbial water’s edge, staring out at the churning waters of the FPL ocean, wondering what’s out there, contemplating playing the game for the first time this coming season. From one rookie to another, here are a few hard learned lessons and tips that could be the FPL life jacket you’re looking for. Before We Begin – Why Are You Playing? In my experience, those playing FPL more or less fit into one of two different categories. First, there are those who are fans of the sport of football in general and the English Premier League specifically and who use FPL as a way to enhance their weekend viewing of the games and to get to know some of the “other” players beside the household names we see highlighted during major international tournaments. 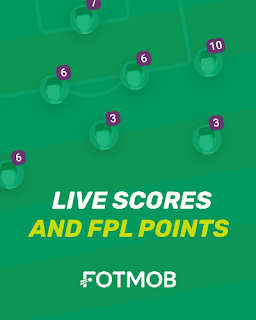 Second, there are those who not only play the game to enhance their viewing, but also take the FPL game itself seriously and delve into the complexities of the game with an eye towards scoring the most points possible and improving their mini-league and overall ranking. This distinction is an extremely important one as the FPL game means something different depending on which of these groups you find yourself in. If you’re like me, you will probably find that playing the game for fun and to try to learn more about the Premier League inevitably leads to you finding yourself getting further involved, almost addicted, and focusing on points, points, points. For the purposes of this article I will assume that you have one eye looking towards next season with a goal of playing the game seriously. With this in mind, following are a few tips I wish were shared with me before I locked in my first gw1 FPL team. There are many fantasy games out there based on the sport we love. Before playing the official FPL game I played Fantasy World Cup 2010 and 2 seasons of ESPN Fantasy Football for Premier League. It wasn’t until the 2011-12 EPL season that I found the “official” FPL game. I remember setting up my ESPN team for my third season when some friends invited me to join a mini-league they’d created the prior year in FPL. I joined without doing any homework and by gw2 I realized keeping up with 2 teams wasn’t going to be possible. With friends in FPL and recognizing that a) it was the official fantasy game of the EPL and b) there were over 2.5 MILLION players, the decision was easy and quick. My ESPN team was abandoned and I was floating in the waters of FPL with nothing but my old presumptions based on a game I no longer played. If you’ve played other fantasy football games in the past, and even if you haven’t, familiarize yourself with the Rules and Scoring System as best you can. Yes, it can get a little tedious and there are more fun ways to spend your spare time, but knowing the rules and scoring distinctions can really help not only when formulating the team you’ll start the season with but with the hundreds of decisions you’ll make throughout the season. Distinctions are important and if you don’t recognize them early you’ll be cursing them later. If for some strange reason you print this article, circle, highlight and underline this one. As a fan of EPL, you almost surely have a team or teams you support with wild abandon and a team or teams that you, uh, don’t support (sometimes with equal or more fervor and energy than you reserve for your favorite team). Picking your team and making transfers based solely on which teams you love and hate is a recipe for disaster. Take it from someone who has experienced it personally; the ONLY thing worse than watching a good player on one of your least favorite teams score goals and rack up points is not having them on your FPL team and watching your rivals who were smart enough to pick them bury you in FPL too. It’s enough to drive you mad. Enough said. Closely behind the disappointment of watching your affiliation-related stubbornness cost you valuable FPL points is the fear, panic, and ultimate self-punishment that comes with making a transfer early only to find out there is a mid-week Carling Cup fixture in which your newly transferred player will feature and quite possibly either get injured or be subsequently rested for the weekend EPL fixture. To my knowledge, the official FPL site does not publicize or warn you of these fixtures that you absolutely, positively need to be aware of when formulating your strategy for a particular gameweek. Find the best source of information you can for fixtures in all competitions that EPL teams compete in and make sure you do not get caught unaware. As you get further involved in your FPL addiction you will find that there are diametrically opposed realities of wanting to know as soon as possible what a team’s expected lineup will be for their upcoming fixture and knowing that if there is any certainty whatsoever, it only comes after days (often 3 or 4) of sniffing out news stories and having multiple journos help to confirm or deny rumors and managerial leanings that are printed and theorized early in the week. Fortunately (or unfortunately) there are many websites and “help” sites out there that post predicted lineups for the upcoming round of EPL fixtures. Be careful though; I do not know where they get their information and they are not always accurate. I learned the hard way not to rely on one single source of information. If you are lucky you may find a source or two that seem to get things right more often than not. If you find them, please send me the info. Otherwise, do your homework and dig around. There are all kinds of theories out there (the Liverpool bib theory comes to mind) but I have yet to find a single, reliable source of information for starting lineups that would give me a leg up on transfer decisions. This is another tip that is high on my list of things I wish I had learned sooner. If you’re like me, your natural inclination as an FPL manager is to utilize every penny at your disposal to “maximize” your squad; especially early on when you are creating your team for gw1 and before player values have fluctuated. I think this year will be different for me. One of the things that I learned this past season was the value of keeping some money in the bank. As I look back on the 2012-2013 FPL season, I remember vividly multiple, MULTIPLE game weeks where 0.1m was the difference between making a transfer I really, really wanted and settling for one that I could afford. In addition to the pure economics involved, the biggest difference for me was the breathing room afforded by having 0.2m or 0.3m sitting in the bank. It was frequently the difference between feeling rushed and panicked to make a transfer too early and being able to calmly make better decisions, knowing that a 0.1m rise in price of the guy I wanted or a 0.1m dip in price of the guy I wanted to offload would not force me into making a hasty decision too early in the gameweek. “Panic” transfers are no fun. I hope in this list you find something valuable that you can use as you get ready for your second or third season of FPL. And if you are standing there wondering whether this is the year that you play the game for the first time, I hope that you find something here that makes it more likely that you will click “CONFIRM TEAM” for the first time this coming August. Over 2.5 million of us can’t be wrong. I hope you’re enjoying your “off season”. After last year's cracking 110th finish, it was going to be virtually impossible for me to match that... but I gave it a go! Realistically I was targeting at least a Top 1k finish. The truth was that I had a solid squad through out the season. But I lost too many silly points on the bench. Upon calculation, I may have lost as much as 110+ points on the bench! This was in part due to surprise results or unforeseen miscalculations on my part. However, I gradually lost less points on the bench as the season progressed and fortunately didn't lose too many points on shoddy captaincy picks. Relying on one keeper and having a stock/cheap un-usable 3rd sub helped me to free up funds but also reduce points lost on the bench. I believe I used both of my wildcards at the correct moments which resulted in a mid-season boost and late flurry injection of points - allowing me to obtain 2 tons in one season for the first time. From GW23-33 I was floundering between 10k to 19k and feared a mediocre finish. But the all-season wild card and spot on selections bailed me out to a respectable 5k. Who captained RVP v Villa? Or captained Benteke v Sunderland? I did! These potentially risky yet inspiring captain picks catapulted me up the table, but alas it was too little too late to break into the top 1k. I rarely scored less than 40 which was pleasing but I should have got more 71+ GW scores. Aside from that, I finished 2nd in FM-Base's league and 3rd in their cup which I consider a job well done under the circumstances. To conclude, finishing 5,038th wasn't so bad after all and I intend to zoom up the table again for the 2013/2014 season. Mourinho? Moyes? 'Ollie? Bring it on! So I’m a second year FPL enthusiast from the USA who is still learning the game. Last year was an interesting intro to the FPL game, but coming from a few years of the ESPN version of the game (the first season I played I was given 30 transfers TOTAL to use whenever I wanted – no option to “buy” additional transfers when I ran out) I really had no idea what I was doing. I ended up ranked 350,000 or thereabouts and actually felt pretty accomplished – that a guy from the other side of the world in a country where David Beckham once walked around virtually unnoticed – could finish the season within the top 15%. This year was different. About a third of the way through the season I started getting active on Twitter and recognized that there was a wealth of awesome people, all EPL/FPL addicts like me, who I could talk with and increase my enjoyment of both the “real” weekend games and the FPL game. By “active”, I guess I should clarify. For a good while I just read people’s tweets, amazed that I could create an entire Twitter world around the sport that I loved but that very few people around me wanted to talk or hear about. After a few weeks of watching, I started seeking out people who played the FPL game and began tweeting. I expected to be virtually ignored in a place full of fans so much more knowledgeable than myself, but got some responses, retweets, whatever. @FPLHints was one of the first people to say hello and welcome me and I appreciate that to this day. I never would have imagined that I’d be sitting here a few months later actually contributing to his blog. The problem was, my addiction was about to go to another level. I got more involved in discussions about FPL in general and the game took on new meaning. I started learning about the importance of double game weeks, the questions to ask yourself when deciding whether to take a 4 point hit on an extra transfer or not, how to back up questionable starters with carefully selected subs in a specific order, how different opponents might affect a manager’s starting lineup and formation for the coming week; all subtle nuances that I was blind to the year before. Along with my increased involvement and heightened interest came better scores. I was able to capitalize on opportunities that I now recognized and amazingly moved into the top 100,000, hitting game week highs in the 80’s that I had never come close to before. One week I even broke 90. The momentum carried forward to the point that I found myself hitting the top 50,000 and pinching myself along the way. The banter and discussions I had with so many knowledgeable football fans only made it all better. Before I knew it, I was talking FPL with not only people from the UK, but also people from Ireland, Australia, Canada, India, and many other countries, including some equally addicted fellow Americans. For me, the season ended too early. I overcame a deficit to win my mini-league over the final 2 gws of the season and finished the season with my highest ever ranking; 33,058. I didn’t want the momentum to stop. I still have so much to learn and so much to improve upon but that will have to wait until next season, when I once again face the uniquely American phenomenon of having to select my team on Friday night so as not to risk sleeping past the typical 6:30 a.m. Saturday morning game week deadline. Yes, the life of an American FPL junkie comes with some obstacles, but none of them put a dent in our enthusiasm for the sport we love to follow and the game we love to play.